Photograph, text and formatting by Jacqueline Banerjee. 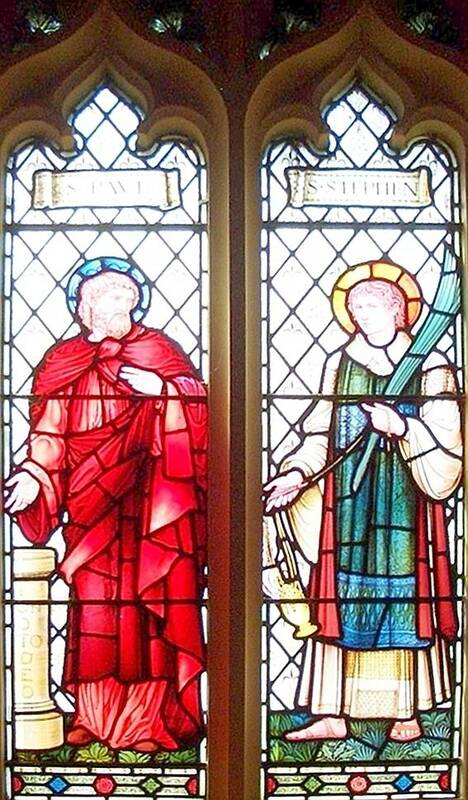 St Paul is shown preaching, and St Stephen with the palm branch that signifies his special role as the first Christian martyr, and a censer indicating (like his clerical robes) his role in church ministry. In a more commonly used Burne-Jones design, for example the one at LLandaff Cathedral, St Stephen's martyrdom is more graphically indicated by the inclusion of stones.